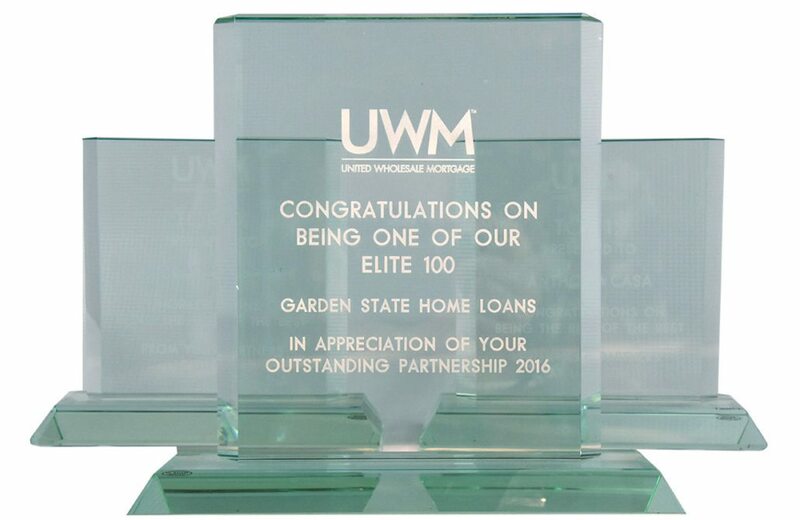 CHERRY HILL, New Jersey, May 19th, 2017 – Garden State Home Loans has been awarded with the United Wholesale Mortgage Elite 100 for 2016. United Wholesale Mortgage (UWM) has been named the the leading wholesale lender in the United States for the past two years. The Elite 100 is awarded to UWM’s top 100 partners, and is based on the outstanding performance of each selected UWM partner. In addition to receiving the Elite 100 award for Garden State Home Loans, Anthony Casa, President at Garden State Home Loans, and Justin DeJoseph, CEO at Garden State Home Loans, have each been awarded individually. Casa and DeJoseph were each presented a “Top 1%” award for being two of the best UWM partners during 2016.